Photo: Giant Ledge Mine, Caruthers Canyon, New York Mountains. Eastern Mojave Vegetation Giant Ledge Mine, Caruthers Canyon, New York Mountains. This is one location for Frasera albomarginata. Caruthers Canyon Road - Mojave National Preserve: at the Giant Ledge Mine. 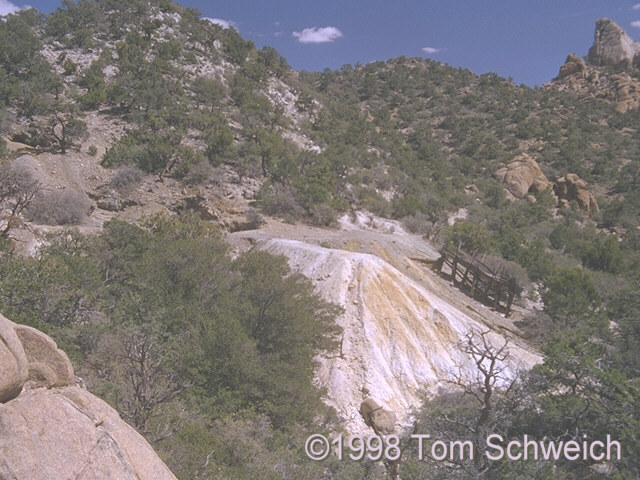 Other photos about Economic Geology or Giant Ledge Mine.